I love personalized birthday gifts. It’s so hard to know what toys kids have or want, so I’ve decided it’s easier to avoid that and make something unique that I know they won’t have. I usually pick something with their party theme. 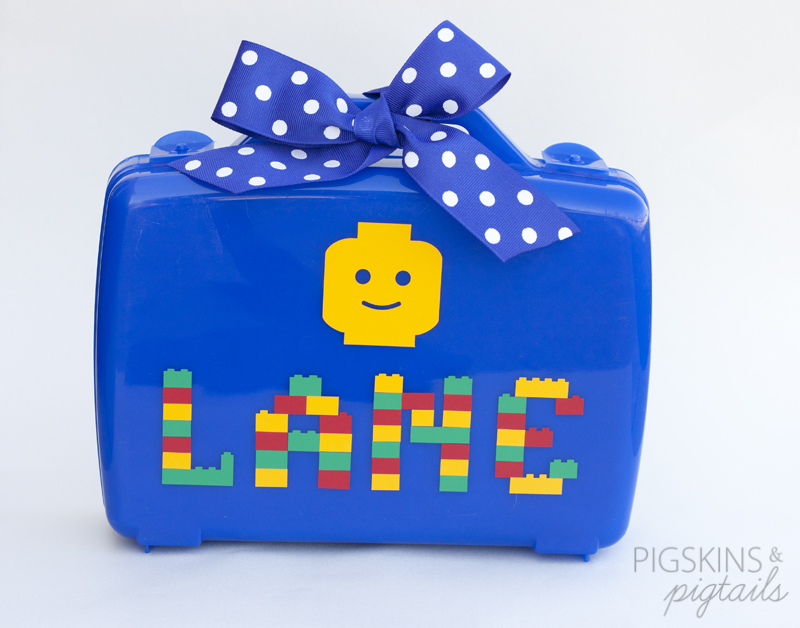 For our Lego lovin’ friend, I decorated a container with vinyl lettering. Here is the personalized team lego shirt that I made to go inside the container.